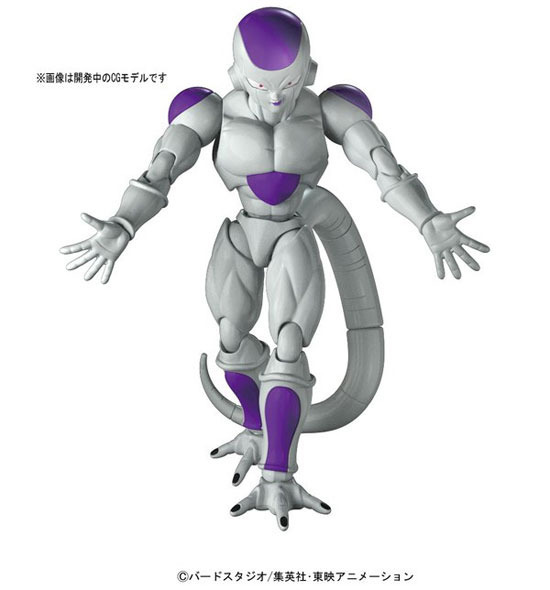 After a period of few years, Bandai is continuing the model kit of Figure-rise and it will be releasing in 30th July 2016 for Super Saiyan Son Goku and Final form Frieza! 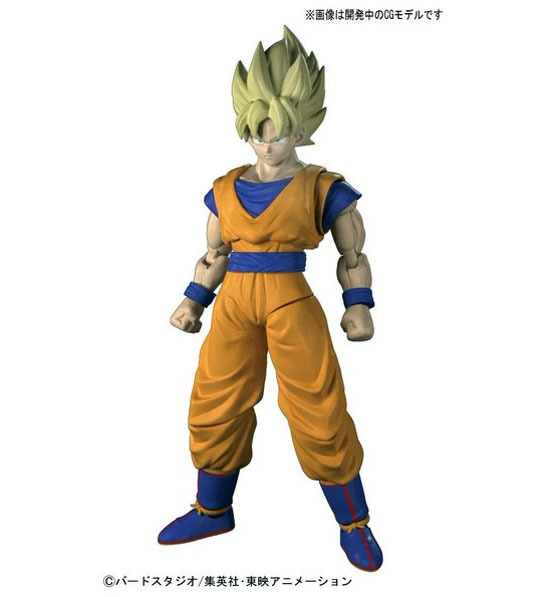 The last Figure-rise figure I review as the Normal Son Goku but that was in MG 1/8 scale size. 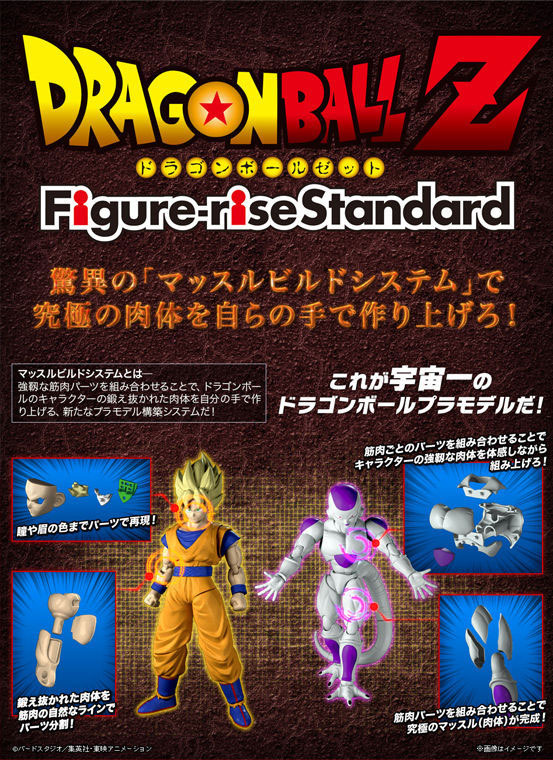 For this Figure-rise Standard version, so far there isn't any information on the scale. So it may not be MG. 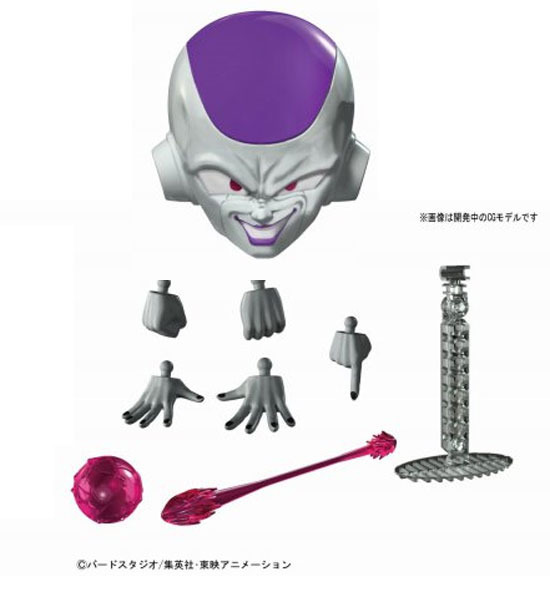 It is said to be poseable with special effect such as his finger blast and the energy ball that can destroy the planet. 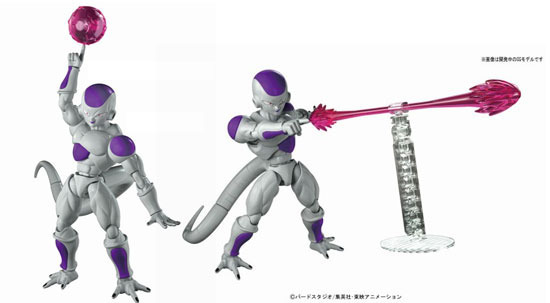 It comes with additional face, stand, hands and special effect blast. 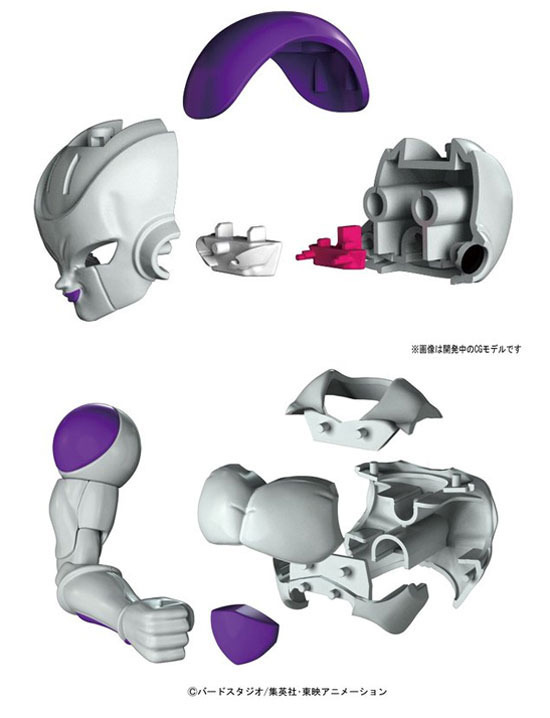 Some of the assembly parts can be seen below of how the joints works together. 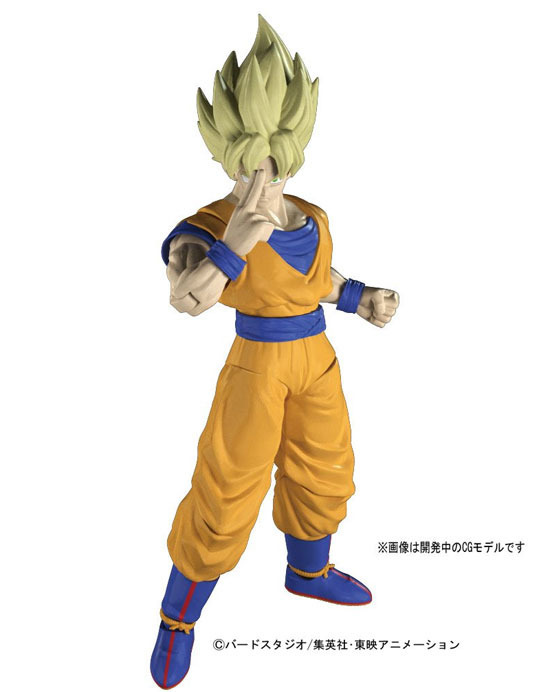 You can pose Super Saiyan Son Goku with some of his signature pose. 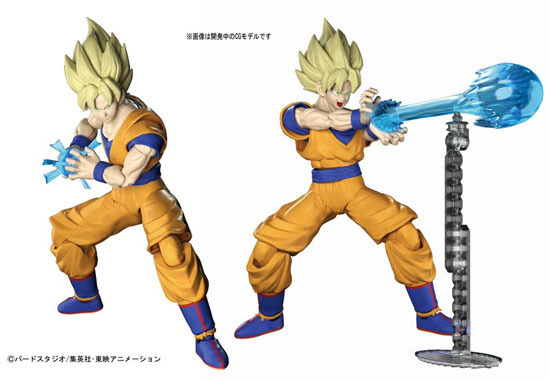 As good as it sound, we may have to see the actual product of how this turn out to see if this is 1/100 or 1/144 or smaller. What do you think of the scale? 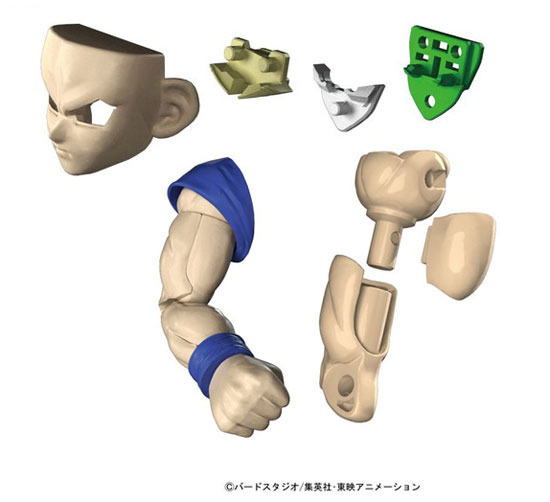 Will you get this model kit to snap and built?